Hooked on Needles: My Second Summer Afghan - check! Sunny mornings on our deck are perfect for picture taking! 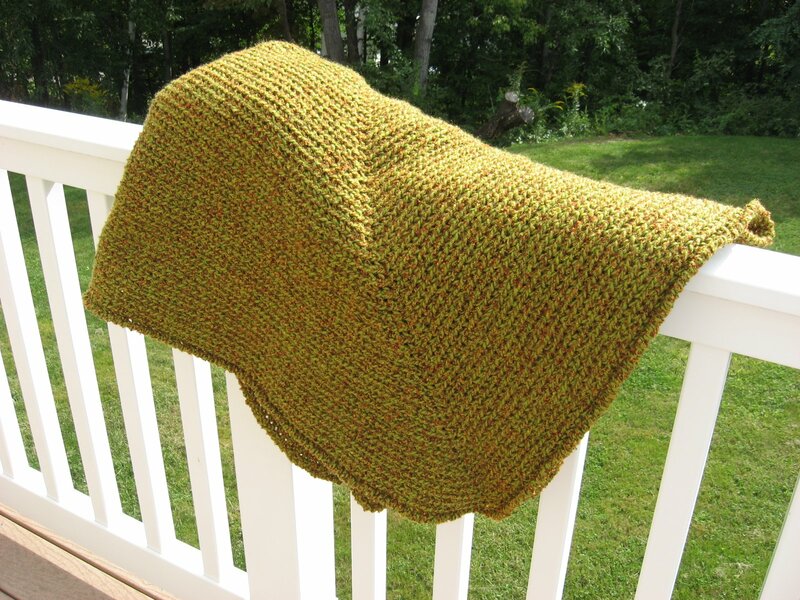 This afghan is single crocheted in the round, or rather in the rectangle! 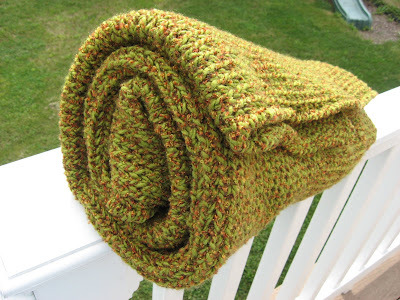 I put a simple but sturdy reverse single crochet border on all fours edges to finish it off. I'll share this simple pattern in a future post. 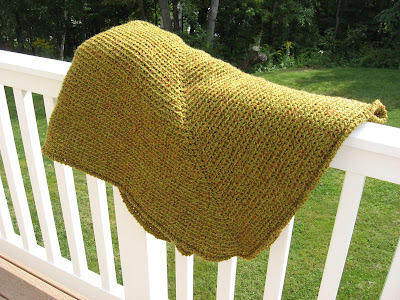 This afghan measures 45 by 49 inches so it is the perfect size to snuggle up on the couch, or in your favorite big cozy book-reading chair on a chilly evening. 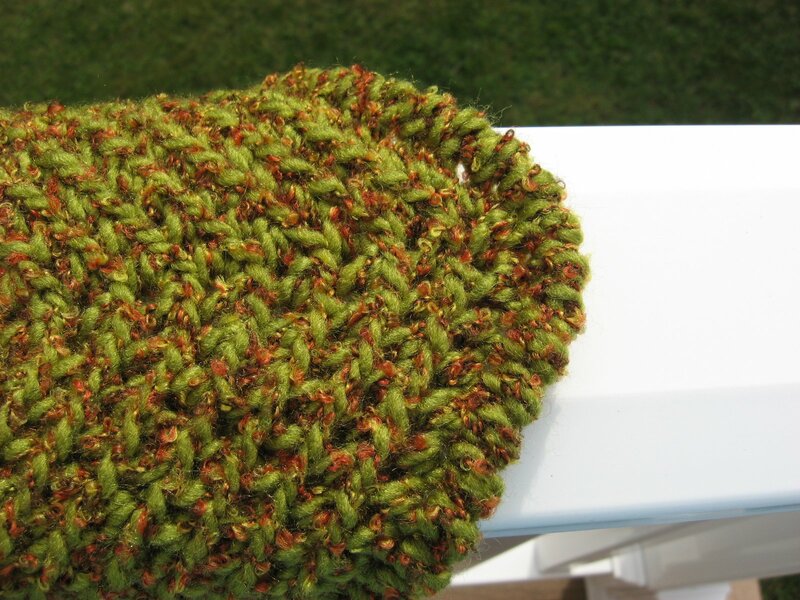 It is made with nine 3.5 ounce skeins of Red Heart Easy Tweed bulky weight yarn which is 95% acrylic and 5% nylon. It is machine wash and dry, so it's very easy to care for. The color is called pistachio. I'll be posting this in my Etsy shop soon so if you are interested in purchasing it for yourself or as a gift, keep an eye out over there or here on my sidebar. 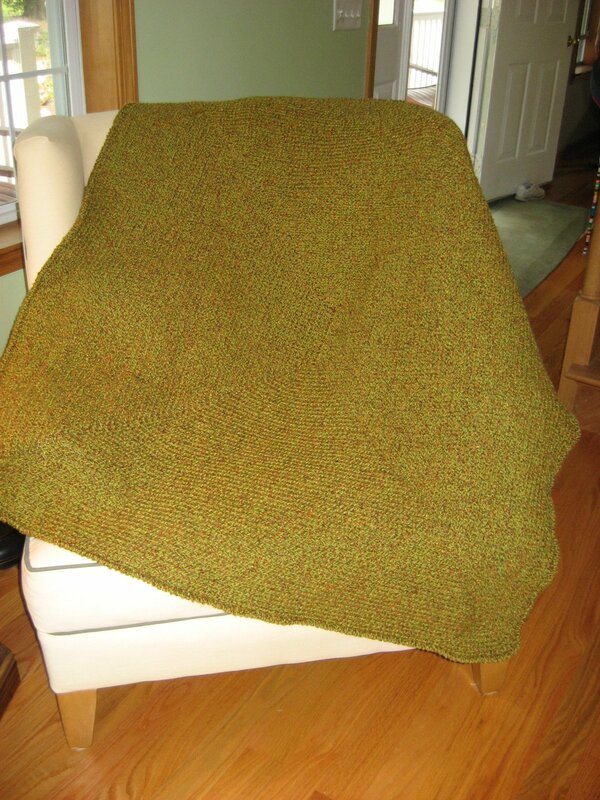 Also if you like this afghan but not wild about the color, I am happy to make you one in the yarn of your choice. Email me for details. 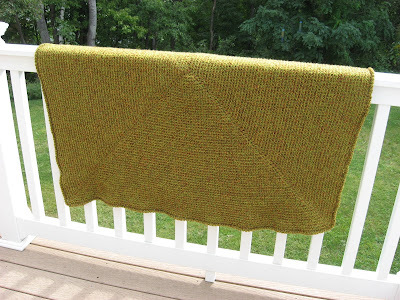 My nephew is getting married in November, so I will be making an afghan for their wedding gift. 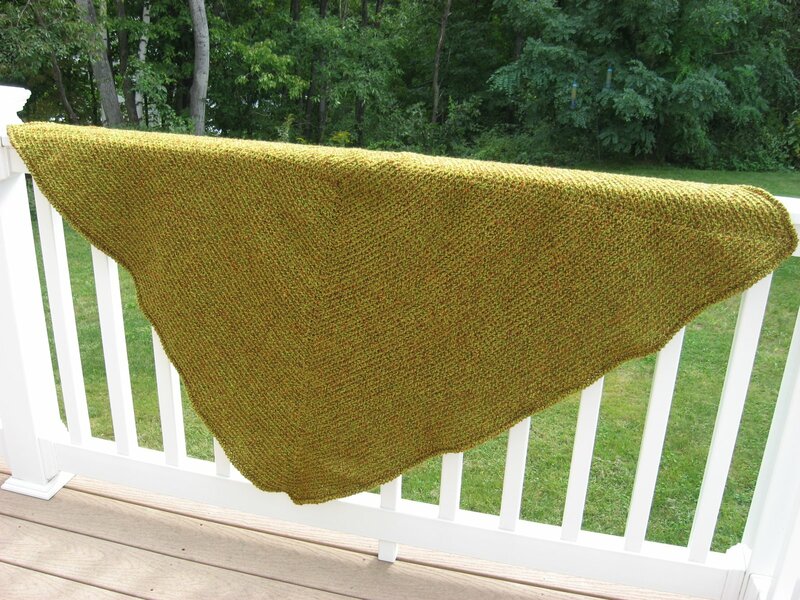 The bride-to-be says she likes greens, so I will be browsing the green section of my local yarn shop soon for the perfect greens to make their wedding gift. Nice job Mary Grace. The green makes me think of fall, and will be perfect for use in someone's TV room. Lovely afghan - I especially love the tweedy effect of the yarn. That yarn turned a pretty and cozy afghan ~ another friday's favorite for sure! Hi MGM! I love that afghan! I made a scarf out of the same yarn. It is so effective in an afghan! Love it!